Don’t miss your chance to SAVE 20% when you stay two nights or more at Lilianfels Resort & Spa and explore the wonders and beauty of the Blue Mountains. Spoil your Mum with a Queen Victoria High Tea experience in the Blue Mountains for Mother's Day. Sunday 12th May. Blue Mountains spa sanctuary to refresh you from the stresses of life and enliven your senses. Corporate events at Lilianfels Blue Mountains Resort & Spa. Host your next corporate meeting, conference or event in the heart of the World Heritage listed Blue Mountains, just 90 minutes from Sydney. Lilianfels Gift Vouchers make the ideal Christmas gift for friends, family or corporate incentives. 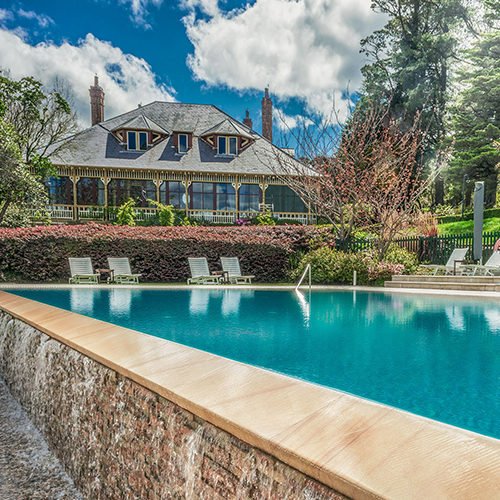 It can be applied to dining or accommodation services at the Lilianfels Resort & Spa in the heart of the Blue Mountains.